Acupuncture is a very important component of Traditional Chinese Medicines (TCM) and it has been used as an effective part of alternative medicines for many decades. Acupuncture was initially used for the treatment of pain but as the practitioners further studied its uses and innovated, it began to be used for treating variety of physical and mental ailments. v TCM school of thought: According to the Chinese philosophy, acupuncture is the procedure for balancing to the flow of energy within the body known as ‘qi’ which results in relieving the pain and distress caused by different diseases. v Western school of thought: Western practitioners believe that acupuncture helps in stimulating nerves, muscles and connective tissues which in turn helps the body to produce natural painkillers. However, both schools of thought are in agreement regarding the benefits of the treatment, the tools and procedures used. The procedure of acupuncture involves the insertion of extremely thin needles at different acupuncture points on the body. The site of needle insertion depends on the purpose for which the treatment is being given. The needles are so thin that their insertion in the skin doesn’t induce any pain however you can feel some sensation or irritation. The needles are inserted perpendicularly in the body for not more than 2 minutes. The treatment is not done on daily basis. It is mostly carried out in weekly or fortnightly sessions and most of the sessions last for half an hour. Some of the most common benefits of acupuncture will be discussed in the below section. 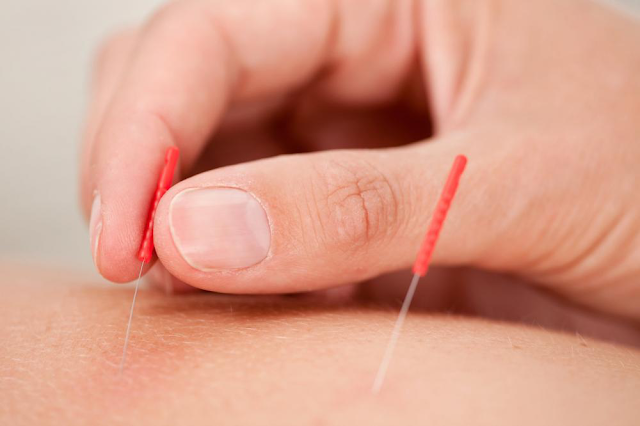 Reducing and treating different chronic pains is the most common use of acupunctures. Recent studies of internal medicine has shown that acupuncture can reduce the pain up to 15% when it is used to treat different types of pains. People facing joint pains due to osteoarthritis or aging can also be benefited from the treatment of acupuncture. Acupuncture treatment around face, neck and scalp are usually used to treat the headaches and migraines. Acupuncture helps in lessening the pain and reducing the occurrence of migraine episodes. Treating migraine with acupuncture has recently become very popular because there are no side effects of this treatment as compared to the highly potent migraine medicines. Patients recovering from surgeries or chemotherapy often experience post treatment nausea that can make it difficult for them to consume their diet in peace. Acupuncture can play an important in preventing the nausea that can lead to vomiting. For the prevention of nausea, acupuncture is done on the underside of the forearms which reduces the sensation of nausea. Apart from physical ailments, acupuncture is also reported to be effective for treating mental problems such as anxiety. With every passing day, more conducted researches are backing the claims of acupuncture. Therefore, this tool of alternative medicine is only getting more popular with time.